CBSE 10th Class Results 2019: The Central Board of Secondary Education (CBSE) will declare CBSE Board Class 10th Results 2019, CBSE Board 10th Class results, CBSE Class x result, CBSE tenth Result 2019 will be available on April/May 2019. The lakhs of anxious students can access the CBSE X Result, CBSE class 10 result, CBSE 10th Board Result, CBSE Class 10th Examination Results 2019, CBSE X Board Result, CBSE Board Result 2019, CBSE Board Exam Result 2019 will be available on official websites: www.cbse.nic.in, www.cbseresults.nic.in and www.results.nic.in. Central board of secondary education result will be announced on April/May 2019. The central board of education is a board of education for both private and public schools under the union government of India. In this year more than 13,73,853 students have appeared for the CBSE board of 10th Examinations 2019. Students who have appeared for the examination will get the regular updates about the examination and about the result website. As soon as paper correction gets over the result date will be declared in the official website. The CBSE 10th Result 2019 is expecting 99.06% of passing percentage. This year the result is expected to be good compared to the last year results. Because number of candidates appeared for the exams have increased compared to the last year. Probably the result will be expected in the last week of May. Students of CBSE board from all regions Chennai, Delhi, Dehradun, Ajmer, Bhubaneswar, Panchkula, Patna, Allahabad, Guwahati and Trivandrum regions etc. can download CBSE Class 10 exam result 2019 from the official website. 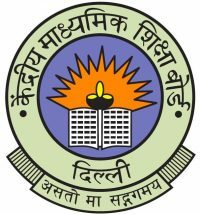 Students can also check their CBSE board 10th result 2019 in cbse.nic.in. Last year due to the technical problems the CBSE websites has reported unnecessary delay for the students in the result checking process. Checking results have become easier and students can see their results without any delay. Students appeared in the central board of secondary education are advised to visit our dedicated board on the regular basis to view their results on priority.Many rumors and misinformation may occur and creates nervousness and uncertainty to the students. Wait patiently until the result have announced and don’t believe rumors. Candidates who have appeared for the examination can see their CBSE board class 10th result 2019 online at the official website of the CBSE board. Students should have all the necessary information such as name, roll number, date of birth, mobile number, email id, and location, in order to be the first one to access their results. The central board of secondary education official website will be provided in both language such as Hindi and English. For exam result huge number of applicants are waiting and based on the score the stream will be decided. Procedures to see the result are as follows. First, login to the official website or click on the link cbse.nic.in Class 10 Results mention in the post. Secondly, it will redirect to the date sheet directly and the date sheet will appear on the screen. Third step is candidates must provide necessary information such as register number, name, date of birth, mobile number, school name, and email id. After entering the necessary details click the submit button and the result page will be displayed. Once the result is announced the candidates are requested to download their mark sheet for further reference and take the print copy of the scorecard. Students are eagerly waiting for the result to choose their stream according to their interest. The original mark sheet will be provided later along with the certificate. By having Xerox copy of the mark sheet students can apply for their higher education. The board gives facilitates revaluation or recounting once the exam result have announced. Candidates are required to stay updated with all sort of information.Candidates can get the central board of secondary education 10th result 2019 by registering their phone number and get updates by message and email.This result enables students to seek admission by joining in different stream.